The politics, social issues, and cultural impacts of Latin American migration to the United States are often studied by historians and political scientists, but the regional focus is typically on the Southwest and California. 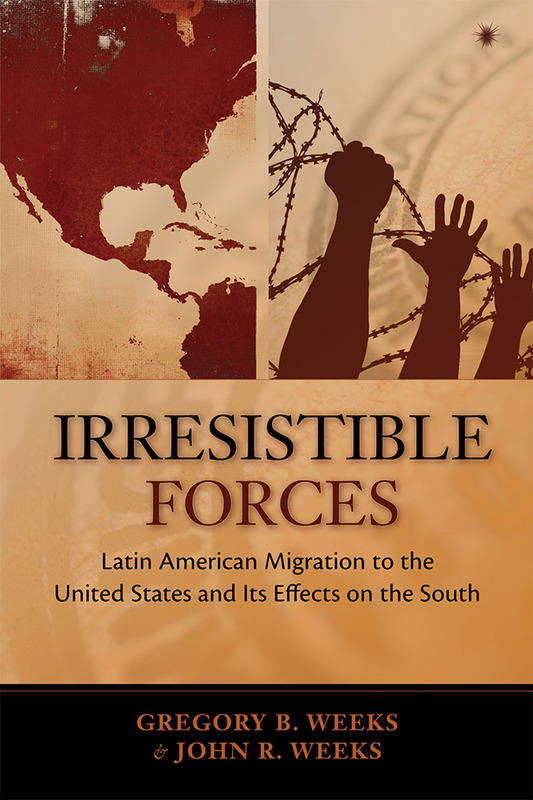 This study examines the phenomenon of the impact of Latin American migration on the southeastern United States, a region that now has the nation's fastest growing immigrant population. Incorporating a political demography approach, this study seeks to provide a clear understanding of the complex dynamics of migration with particular emphasis on the unique demographic "fit"" between the United States and Latin America. This fit arises from one region needing young workers while the other has more than its economy can absorb. Although a relatively simple concept, it is one that has largely been ignored in the political discussions of migration policy. This study argues that the social and political ramifications of and policy responses to Latin American immigration can best be understood when viewed in light of these circumstances. Gregory Weeks (Ph.D., Political Science, UNC Chapel Hill) is associate professor of political science at UNC Charlotte. He is the author of The Military and Politics in Postauthoritarian Chile (University of Alabama Press, 2003) and U.S.-Latin American Relations (Longman). John Weeks (Ph.D., Demography, University of California, Berkeley) is professor of geography at San Diego State University. He is the author of hundreds of articles as well as several books, including Teenage Marriages: A Demographic Analysis (Greenwood Press, 1976), Population: An Introduction to Concepts and Issues (Wadsworth Publishing Co., 11th edition in press) and Sociologia de la Población (Madrid: Alianza Universidad Textos, 1984).